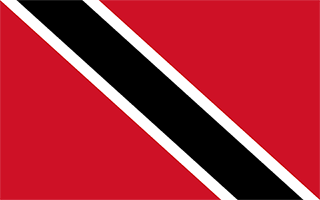 Trinidad and Tobago with its capital Port of Spain is located in North America (Caribbean, islands between the Caribbean Sea and the North Atlantic Ocean). It covers some 5,129 square kilometers (slightly smaller than Delaware) with a population of 1,218,210. English, French, Spanish and Chinese are the languages spoken by people in Trinidad and Tobago (consider regional differences). Thiscountry has no land-based border with any other country. Trinidad and Tobago is a nation consisting primarily of two Caribbean islands just off the northeastern coast of Venezuela. Popular beaches in Trinidad are Maracas, Tyrico, Las Cuevas, Toco, Mayaro, Chagville, Los Iros and Quinam. Most of the beaches on the North coast are beautiful, with powdery sand and clear blue water. The annual festival of Carnival is one of the most famous things about Trinidad and Tobago.There are many beautiful dances and a lot of celebrating around this time. Every year on the Sunday, Monday and Tuesday before Ash Wednesday and the season of Lent, thousands of costumed revelers parade on the streets in an annual street party dubbed The Greatest Show On Earth. The topography is mostly plains with some hills and low mountains. The average density of population is about 238 per km². The climate in Trinidad and Tobago can be described as tropical with rainy season (June to December). Potential natural disasters are outside usual path of hurricanes and other tropical storms. To reach someone Trinidad and Tobago dial +1-868 prior to a number. The local cellular networks are operated on 850 MHz, 1800 MHz, 1900 MHz, 3G, 4G. Websites typically end with the top level domain ".tt". If you want to bring electric appliances (e.g. battery chaarger), keep in min the local 115 V - 60 Hz (plugs: A, B). The sign for the locally used currency Dollar is TTD. Red with a white-edged black diagonal band from the upper hoist side to the lower fly side; the colors represent the elements of earth, water, and fire; black stands for the wealth of the land and the dedication of the people; white symbolizes the sea surrounding the islands, the purity of the country's aspirations, and equality; red symbolizes the warmth and energy of the sun, the vitality of the land, and the courage and friendliness of its people.